Agribusiness Olam Cocoa has boosted efficiency, quality and traceability at supplier farms after equipping its purchase managers with smart sensor tech. 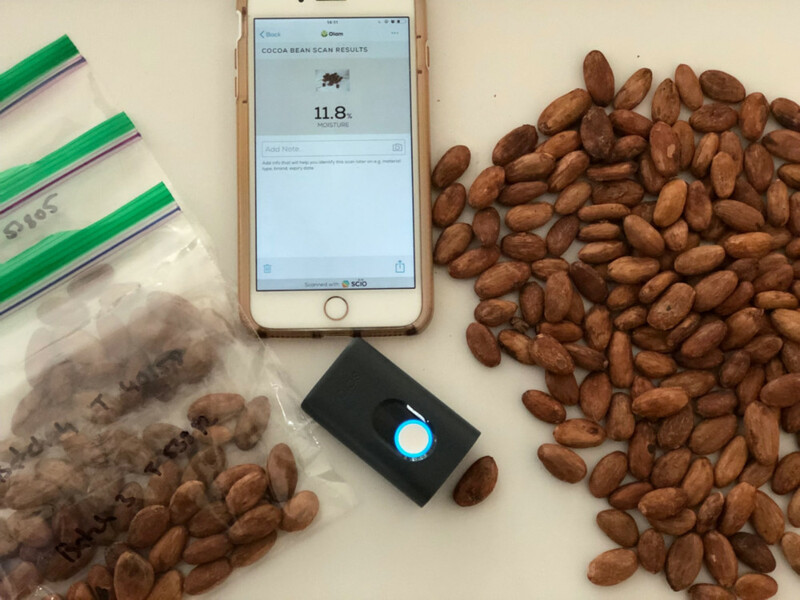 SCiO is a novel hand-held, connected smart sensor from Consumer Physics that enables Olam Cocoa traders to analyse the full moisture range in cocoa beans on location, non-invasively, in less than a minute. Instant moisture results allow Olam Cocoa to disintermediate and source directly from smallholder cocoa farmers based on the quality they produce which, it says, raises efficiency, quality and traceability at supplier farms. In addition, tracking and collecting scans across thousands of smallholder farms provide valuable insights on the cocoa processing at grass root level, that enable Olam Cocoa to track trends over time, and across different geographies. Vijay K. Karunakaran, the Olam Cocoa Indonesia business head, said: “Due to the scale of transactions and complexity of field analysis of the produce, traditional intermediaries have had a role to play. But with technological developments, including IoT, Olam Cocoa is now leveraging its digital platform to directly reach the first mile of the cocoa supply chain. “SCiO, a NIR based pocket spectrometer is one such key initiative enabling Olam Cocoa’s ambitions of capturing advanced data at farm-gate.